Here’s what’s coming up the week of April 22 – on the Morning Show on 88.5 KRFY. Airtime is 8 a.m. … and if you miss a show, you can hear a recorded podcast of it later in the day, on our Podcasts page on this website. Tuesday, April 23: Join hosts Phil Hough and Julie Kallemeyn and their guests Mandy Evans from Panhandle Animal Shelter and Dennison Webb from Selkirk Outdoor Leadership and Education, who will talk about the upcoming state fundraiser – Idaho Gives. Airtime – 8 a.m.
Wednesday, April 24: The Wednesday Morning Show hosts Chris Bessler and Suzy prez will present a recorded interview Idaho State Representatives Sage Dixon, and Heather Scott, and Senator Jim Woodward. Airtime 8 a.m.
Thursday, April 25: Join Morning Show hosts, Jim Healey and Jack Peterson, who will visit with Kirsten Longmeier, organizer of the upcoming Area Senior Center fundraiser. Airtime 8 a.m.
Here’s what’s coming up the week of April 15 – on the Morning Show on 88.5 KRFY. Airtime is 8 a.m. … and if you miss a show, you can hear a recorded podcast of it later in the day, on our Podcasts page on this website. 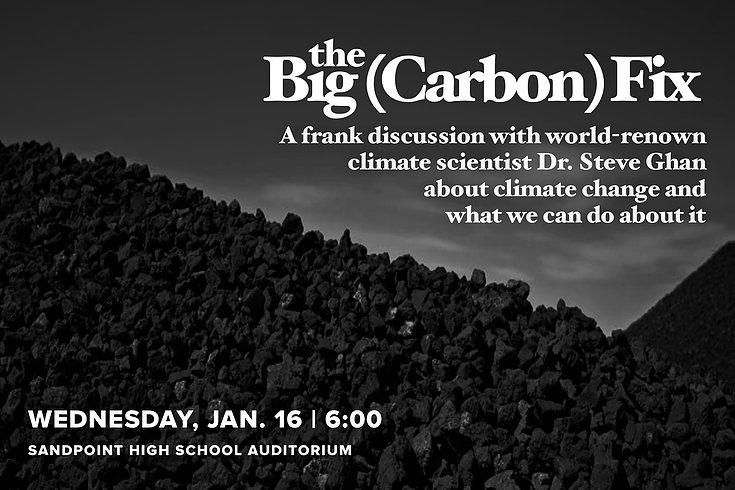 Tuesday, April 16: Join hosts Phil Hough and Julie Kallemeyn and their guests students and teachers from Washington Elementary School who will talk about their EARTH WEEK project. A second interview with Lake Pend Oreille Waterkeeper team, organizers of the Sand Creek clean-up event. Airtime – 8 a.m.
Wednesday, April 17: The Wednesday Morning Show will feature a recorded interview with David Barsamian, host of Alternative Radio. A second interview with take place with students and teacher from the high school about the movie Chasing Coral. Airtime 8 a.m.
Thursday, April 18: Join Morning Show hosts, Jim Healey and Jack Peterson, who will be sitting down with Dyno Wahl, executive director of the Festival at Sandpoint. They will review the upcoming Festival Wine Fundraiser this year’s Festival line-up. Airtime 8 a.m.
Here’s what’s coming up the week of March 25 – on the Morning Show on 88.5 KRFY. Airtime is 8 a.m. … and if you miss a show, you can hear a recorded podcast of it later in the day, on our Podcasts page on this website. Tuesday, March 26: Join Morning Show host Julie Kallemeyn and her guest Bob Turner, organizer of the American Long Distance Hiking Association. Bob will be talking about the upcoming North Idaho Ruck. Airtime – 8 a.m.
Wednesday, March 27: Morning Show hosts Suzy Prez and Chris Bessler who will be talking with Bonnie Franklin and Sally Lowry from the Community Assistance League about the organization and their current grants and scholarship programs. Second guest will be Shannon Williamson from Lake Pend Oreille Waterkeeper. Airtime 8 a.m.
Thursday, March 28: Hosts Jim Healey and Jack Peterson will be interviewing Bob Over and Sherry Meekings from the University of Idaho Nonprofit Leadership Program. Airtime 8 a.m.
Here’s what’s coming up the week of January 7 – on the Morning Show on 88.5 KRFY. Airtime is 8 a.m. … but if you miss a show, you can hear a recorded podcast of it later in the day, on our Podcasts page on this website. Tuesday, January 8: Join Morning Show hosts Julie Kallemeyn and Phil Hough as they sit down with Idaho Department of Fish and Game, representative Matt Hagg to talk about fishing and trapping. Airtime 8 a.m.
Wednesday, January 9: Morning Show hosts Suzy Prez and Chris Bessler present a previously recorded interview with Idaho State District One Representatives Heather Scott and Sage Dixon, and Senator Jim Woodward. Airtime is 8 a.m.
Thursday, January 10: Hosts Jim Healey and Jack Peterson will visit with Bonner County Human Rights Task Force representatives Brenda Hammond and Sharon McCahon. Airtime 8 a.m.
Here’s what’s coming up the week of December 31 – on the Morning Show on 88.5 KRFY. Airtime is 8 a.m. … but if you miss a show, you can hear a recorded podcast of it later in the day, on our Podcasts page on this website. 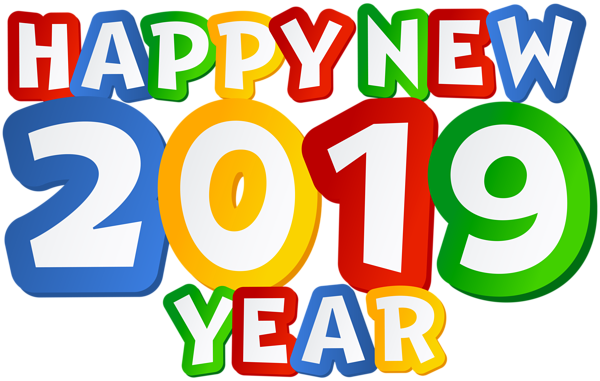 Wednesday, January 2: Tune in as Morning Show hosts Suzy Prez and Chris Bessler talk with local print journalist from the Bonner Bee and the Sandpoint Reader, who will review local standout news stories of 2018 and look ahead to potential stories coming up in 2019. 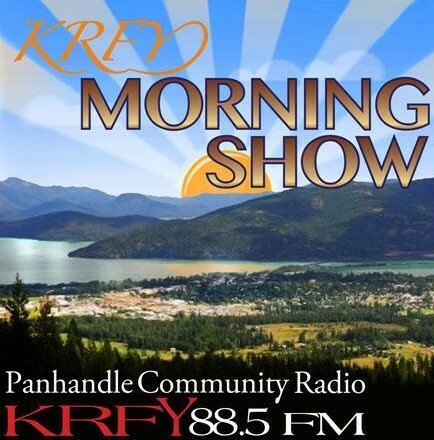 Airtime is 8 a.m.
Thursday, January 3: Hosts Jim Healey and Jack Peterson will visit with Pend Oreille Arts Council, coordinator Hannah Combs. 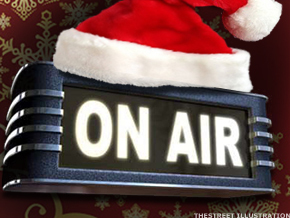 Airtime 8 a.m.
Here’s what’s coming up the week of December 17 – on the Morning Show on 88.5 KRFY. Airtime is 8 a.m. … but if you miss a show, you can hear a recorded podcast of it later in the day, on our Podcasts page on this website. Tuesday, December 18: Hosts Julie Kallemeyn and Phil Hough will sit down with Kim Woodruff from Sandpoint City Parks and Recreation. Tune in at 8 a.m.
Wednesday, December 19: Tune in as Morning Show hosts Suzy Prez and Chris Bessler talk with community faith leaders about THE REASON FOR THE SEASON. Guests will be Pearl Whistler from the United Methodist Church, Eric Rust fro Cedar Hills Church, and Jason Gold from Regeneration Calvary Chapel. Airtime is 8 a.m.
Thursday, December 20: Hosts Jim Healey and Jack Peterson will visit with Panhandle Animal Shelter executive director, Mandy Evans. Airtime 8 a.m.